How can we move all of America forward? What role can social changemakers and community-based organizations play in the process? What tools does our community have- or need to develop- in order to meaningfully engage with both common and uncommon allies to chart a path of opportunity for all? Stay up to date on all of our discussions via our live stream. 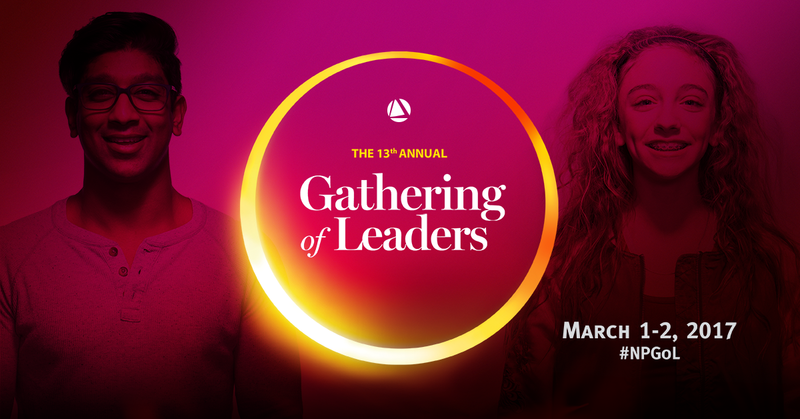 We're excited to announce the first plenary of our 2017 Gathering of Leaders, focusing on the most recent election, the divides it has created, and the opportunities it has presented for social change. Maria Teresa Kumar of Voto Latino welcomed Juleanna Glover, John Pudner and Lee Foley to our bipartisan, cross-sector panel, to discuss the wake of the 2016 election. The diverse panel discussed a range of topics related to our current political climate, ranging from alternative news, diversifying government, and the importance of storytelling. Juleanna kickstarted the discussion, highlighting the importance of storytelling in government. “It’s important to have the capacity to tell stories about your populations. America Forward will play an increasingly challenging role in telling these stories,” she added, acknowledging the efforts of New Profit’s public policy initiative. Lee continued on the topic of storytelling, noting the impact it’s already had on bipartisan issues. “Storytelling about the Affordable Care Act and Medicaid have already made an impact,” noting the importance of putting a face to a nationwide crisis. Hand-in-hand with storytelling came the discussion of introducing millennials to government led initiatives, and creating avenues for them to run for office themselves. “We need a diverse group of people to run for office. We need fresh blood,” Juleanna said as a potential solution to the isolation minorities feel in their government representation. “We need to encourage a greater diversity in candidates for office,” John agreed. He went on to discuss the importance of communication, specifically as it pertains to creating a language that is approachable for those that it applies to most. Wrapping up on our first plenary, Juleanna summarized, “We need to take care of each other in this era of very controversial conversation,”.